The late, great Carrie Fisher, tragically, does not have a star on the Hollywood Walk of Fame. But Mark Hamill is confident that will change, it's just a matter of when. But if the actor has it his way, Fisher will have the honor bestowed upon her in time for the release of Star Wars 9. And he has an idea of how fans can help make it happen. Star Wars legend Mark Hamill is quite active on Twitter and takes time to respond to fans. Recently, a fan expressed desire to see this Walk of Fame situation amended. 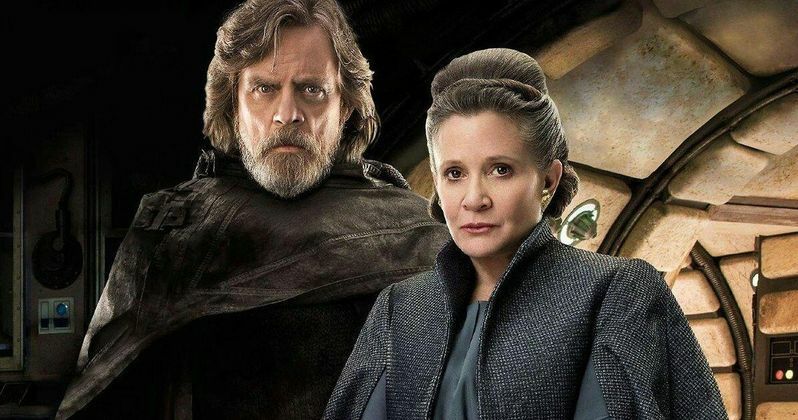 Hamill seems confident that Carrie Fisher will get her star, but that it could be a few years from now. However, he suggested that Star Wars fans take matters into their own hands and actively petition the Hollywood Chamber of Commerce to make this happen. Here's what Hamill had to say about it. "Carrie will get her well-deserved Star on the Walk of Fame, it's only a matter of when. The rule is a 5-year wait when awarded posthumously. A letter to the Hollywood Chamber of Commerce wouldn't hurt, urging them to time it to the release of #EpIX #AlwaysWithUs"
When it comes to getting a star on the Walk of Fame, it's easier said than done. People can make a list a mile long of stars who deserve the honor, but it actually costs a good deal of money to get it done. But Carrie Fisher unquestionably should have been given a star long ago and if fans speak up in a respectful fashion loudly enough, that could be enough to get this done. Mark Hamill only recently got his star in March. Both he and Harrison Ford talked about Fisher's legacy at the ceremony. It would certainly be nice to see the woman behind Princess Leia honored with a star as Star Wars 9 is getting ready to roll out in theaters. Carrie Fisher passed away in December 2016 prior to the release of The Last Jedi, which was dedicated to her. But her passing unfortunately meant that plans had to be changed heading into the finale of this trilogy and that Fisher couldn't film any new scenes for the movie. However, J.J. Abrams will be making use of leftover footage from both The Force Awakens and The Last Jedi in order to have Carrie Fisher appear as Leia one last time. It would be very special to see everyone gathered together for a Walk of Fame ceremony to honor her the way she deserves to be honored, to go along with that. Mark Hamill wants it. Fans want it. It's just a matter of convincing the right people that the time is now. Star Wars Episode IX is set for release on December 20, 2019. You can check out Mark Hamill's Twitter post for yourself below.